Until now the regulatory authority has not published yet the manufacturer declaration for SecSigner which was submitted on July 4, 2011. The Advisory relates to downloads from sources which are untrustworthy. 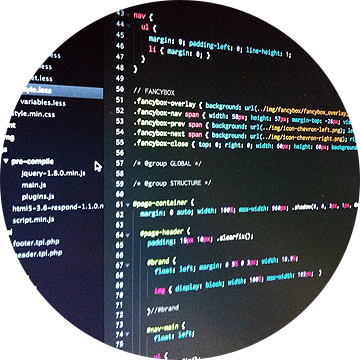 SecSigner - like any other program - must not be downloaded from an untrustworthy source. Links in emails for downloads or for the activation of applets must always be verified before you click on them. When using Java applets, the online verification of certificates must never be deactivated in the Java settings! All versions concerning the Security Advisory are signed with a blocked (revoked) certificate. Blocking and certificate verification prevent any further implementation of the SecSigner applet. From a safety-related point of view the Advisory does not concern our contract customers, who receive the software direcly and exclusively from us. However, due to the free availability of the software, we must also consider the case that our software is downloaded from an illegal and untrustworthy source. So far no case of misuse is known to us. The technical details about the Security Advisory are not accessible to the public. The scenario, which is relevant to security, was detected during a routine security check. As of now we require for the download of these files a short description of the intended use scenario. This way we can give crucial advice for the use or the integration of the SecSigner and – if necessary – can also point out when a license is required for the use of the products. Thank you very much for your understanding. Short description of the anticipated operation scenario. hort description of the anticipated operation scenario. 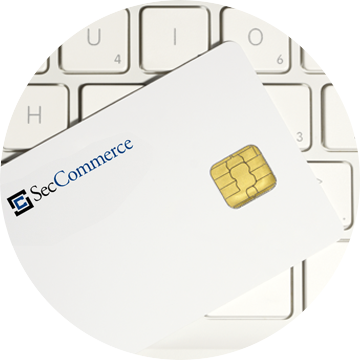 SecSigner creates digital signatures and thus enables – especially in the context of SecCommerce SecPKI workflow – legally binding contract conclusions without media discontinuity (i.e. 100% paperless). The qualified individual signature is used e.g. for signing PDF documents and for invoice release. Desktop Installation for Ubuntu, openSUSE etc. As of now we require for the download of these files a short description of the intended use scenario. The reason for this is that SecSigner was unfortunately frequently used in the past for replicas of our products which were subject to charge. This also led to numerous support requests from customers who were unsatisfied with the replicated products as the used version was incorrectly integrated which caused errors and problems. We want to prevent this now right from the start. With a submitted description of the use scenario we can provide important advice for the use or the products. Thank you very much for your understanding. 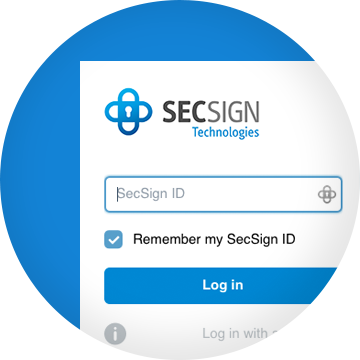 With SecSign ID you get a highly secure and convenient two-factor user authentication using a smartphone. The basis is a PKI (Public Key Infrastructure). The used challenge response procedure is based on asymmetric encryption with 2048-bit key pairs.